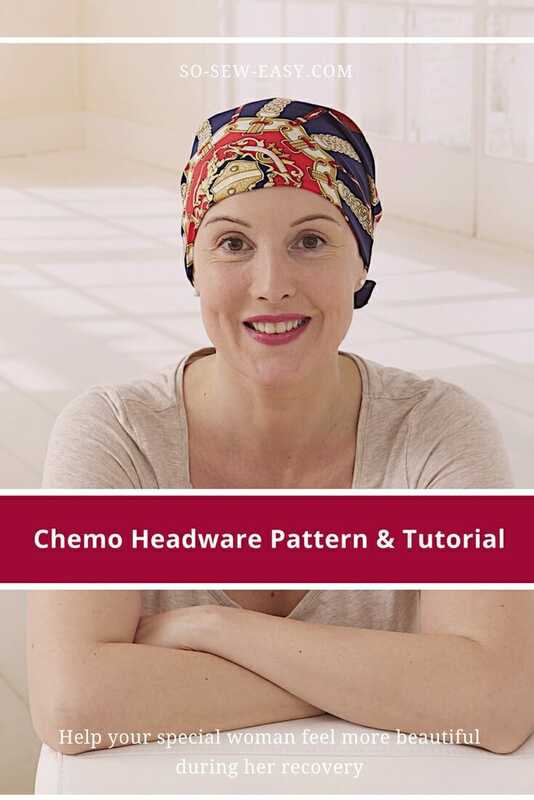 Here’s an easy chemo headwear pattern and tutorial so you can make that essential accessory to help her feel more beautiful during recovery. Today is Mother's Day in most parts of the world, so Happy Mothers Day! To all of you that have experienced the privilege of raising children and the immense love and fear of being responsible for a little one, I salute you and my wish for you is that you are remembered today. Today is also the beginning of a few styles I will be dedicating to the woman that I admire the most. I should start with my mother and grandmother, but this is not in a particular order. These are the woman that for some reason or another have touched my heart because their resilience, strength, dedication, sacrifice and love for the people around them and themselves have let them take the “road less traveled”, the one thing they have in common: they are strong. I begin with the story of my Aunt Rossi. My Aunt was diagnosed with breast cancer at the edge of 61. She thought she would never have to worry about checking her breast anymore, but one morning she rolled on her bed and felt a sharp pain on her side. She touched the source of the pain and discovered a lump. Worried booked and appointment and was found to have stage 3 breast cancer. 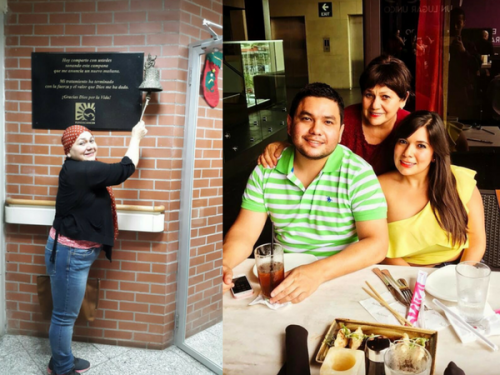 Recently at her hospital, she rang the bell for those that have finished the treatment and are free from cancer cells. The amazing part about my Aunt is that no one can say she was upset, depressed or that she complained about the treatment or her bad luck –not even once. She got out of bed and went about her day as usual working when the treatment allowed her and never giving up. When I asked her what kept her going, she said it was her children. “I can't give up. I want to see them married with children of their own”. Below is a picture of my aunt ringing the bell and with her children. Her hair is not out yet, so she is wearing a wig, but wigs are quite warm. So here is a head scarf to make the wait for her hair to re-grow less difficult. This headscarf pattern is also been requested by a few other readers that are going through chemo. We've also seen a lot of readers make these as part of their sewing for charity initiatives. We hope this free pattern and tutorial will help. 1 fat quarter (18″ X 22″) or 1/2 a yard of cotton/silk, Cashmere, 100% Cotton or Rayon. You can download the pattern for this Chemo Headwear from our account at Craftsy. 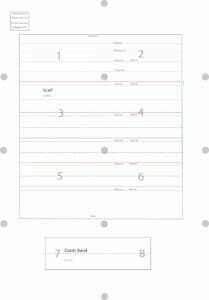 Print the pattern in Actual Size and Landscape format using the latest Adobe Reader version. 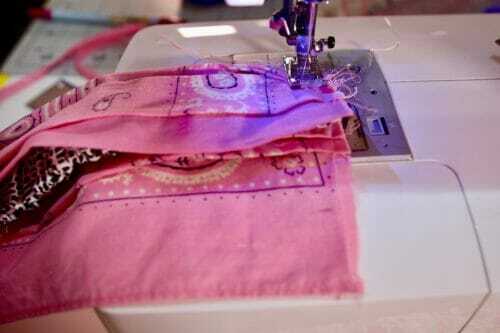 If you are using silk, the best way is to lay a piece of cotton fabric on your work table then lay out the silk and place the pattern on the silk fabric. The cotton underneath will prevent the silk fabric from moving around too much. You can also spray a thin coat of hairspray over the silk, but test this first! 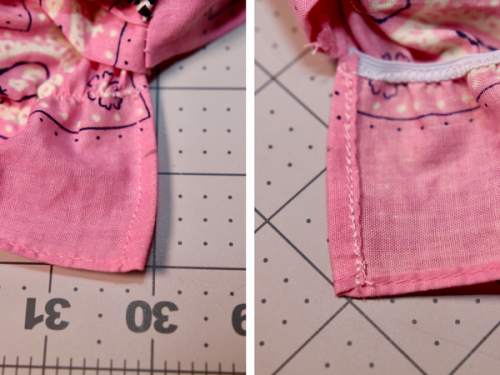 The hairspray will make it easier to hem as you will see later in the tutorial. 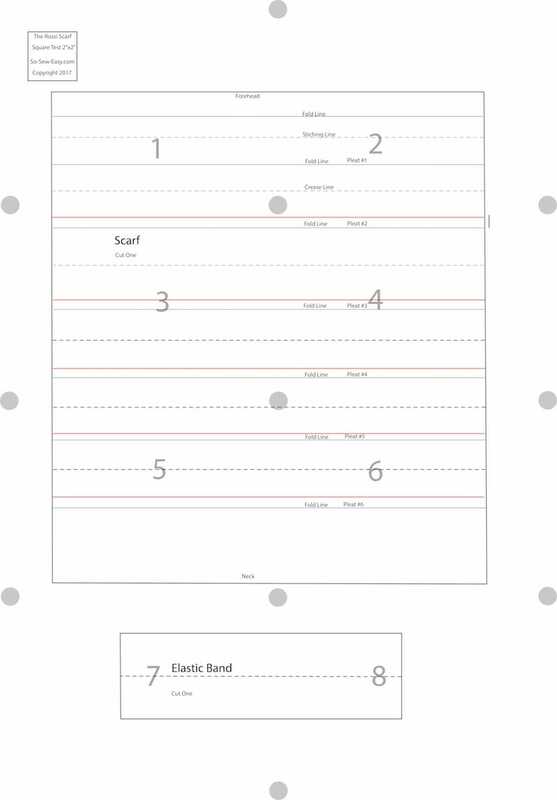 Pin the pattern and cut while marking the pleats with tailor's chalk. 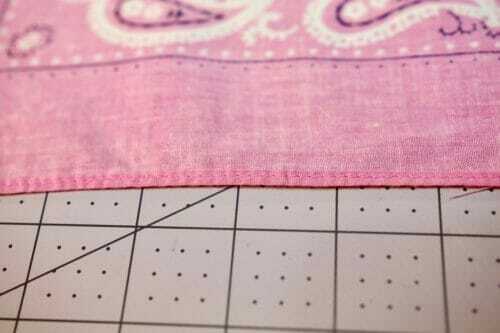 If using cotton or rayon you can mark using a notch. 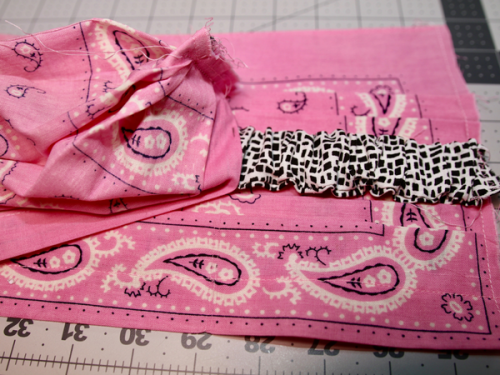 I am starting here only because I am using a store bought bandana and the edges are not raveling. if you are using silk you might want to leave this step last since making the pleats on a slippery fabric is not that easy. 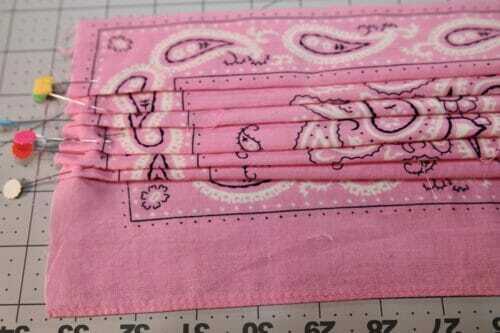 Make a small zigzag on the hem fold and iron. 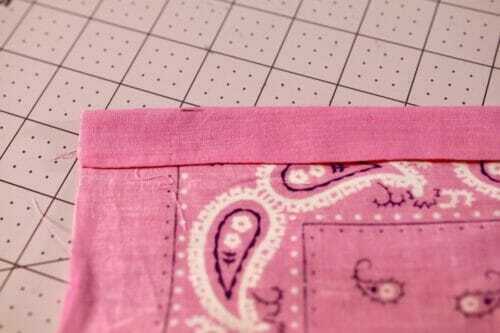 Repeat the zigzag on the lower edge, fold 1/8″ and fold again then sew. If you are using silk or voile hemming might be a bit more difficult. 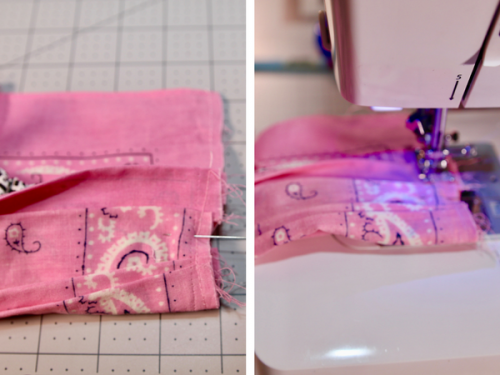 Here is a tutorial that will show you a few ways to hem delicates fabrics. Following the pattern make the pleats from the top to the bottom. The pleats are very close to each other. Sew at 1/4″ to keep the pleats from coming apart. 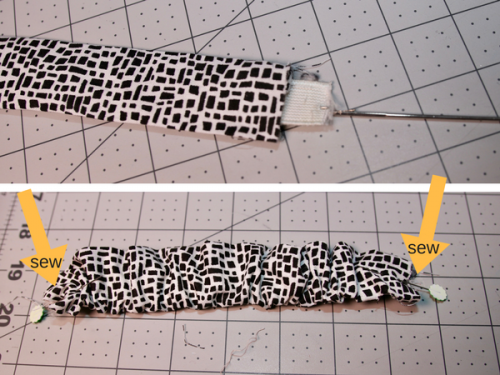 Zigzag or use your serger on both left and right sides. 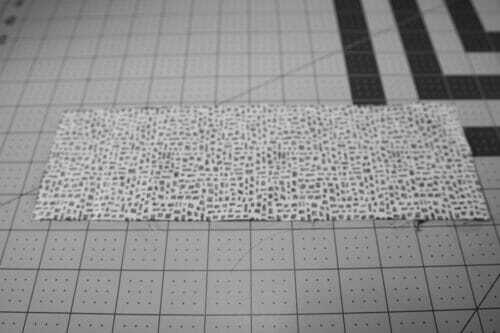 Cut the rectangle and sew on the longest side at 3/8″. I am using a different fabric because it will be easier for you to see but I think it is better to use the same fabric. Turn the rectangle inside out using your loop turner. Iron. Insert the elastic and sew at 1/4″. 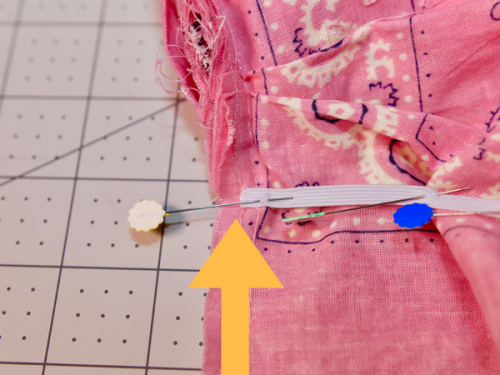 Pin the elastic on the other side and sew at 1/4″. You should now have an elastic band. 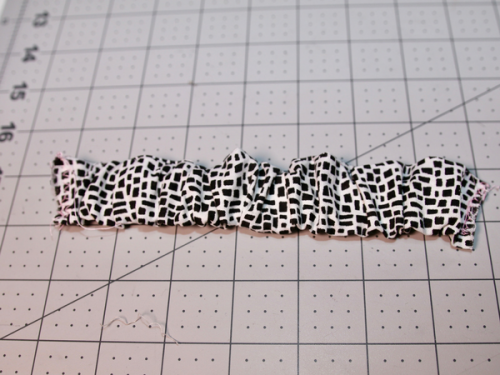 Pin this elastic band 2 1/4″ from the 1″ hem side. Fold over the band until the edge is at the end of the pleats. 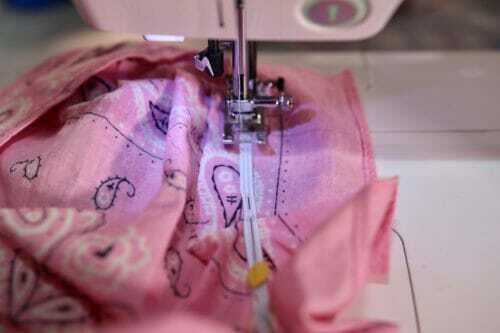 Sew at the 1/2″. Pull the band across to the other side and line it up in the same spot. 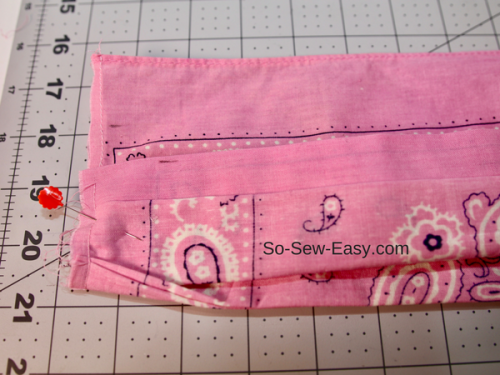 Fold over the band and sew at 1/2″. 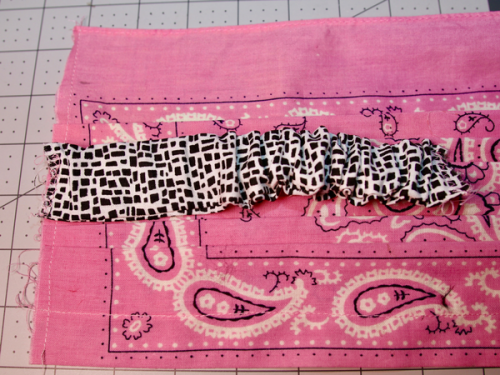 At this point, the scarf is folded with one side shorter and one side longer. We will be working on the longer side. 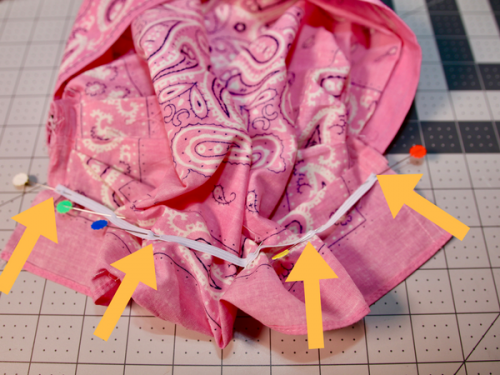 Pin the elastic to the last pleat on both sides about 1/4″ from the stitching line. Do this on the other side. Pin and pull the elastic in a few places. 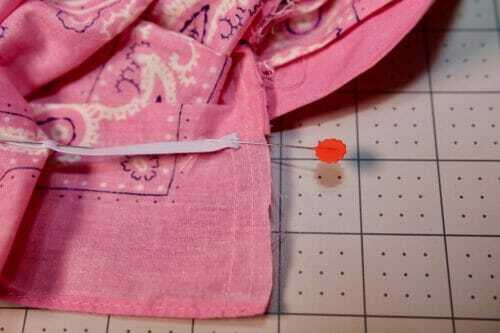 Sew the elastic using a medium zigzag. Match the top thread to the elastic, in my case it is white. 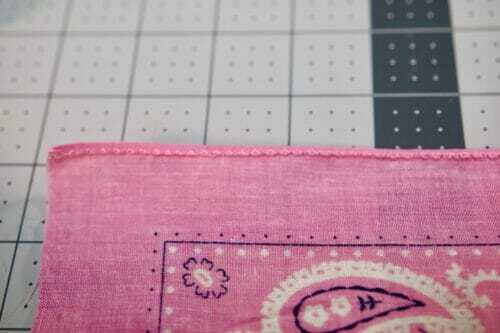 Zigzag or use the serger on the sides. Turn and sew the sides at 1/4″. And you're done! 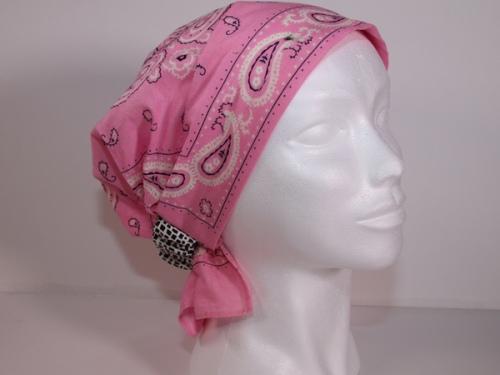 This is a very easy and functional chemo headwear pattern. Used with a different type of fabric will become a great accent for any wardrobe and will ease the wait for the hair to come out after chemo and most importantly make her feel more beautiful during recovery. Hope you make a few for a special someone or make many for charity and donate to hospitals and churches. Do send me a copy of your take on this Chemo headwear pattern i would love to see what fabrics you have chosen. Until next time, happy sewing! Don’t see my original comment but when I changed the printer to landscape, it came out much closer to the 2 inch square. There is no way this would fit on a fat quarter. Main piece measures 19 3/4 by 17 1/4 inches. You need to print on Actual Size, do not resize at all.